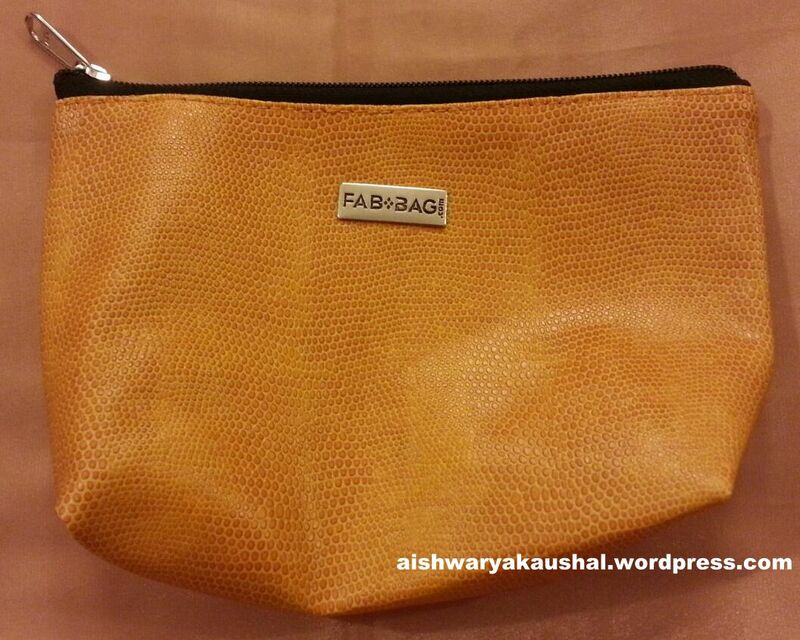 The bag is a snakeskin orange. These bags are so useful for travel and storing things. I’m not thrilled about the ginger scent but the fact that these products don’t have parabens and other harsh chemicals intrigues me. The shower gel lathers up well and the lotion is moisturizing but not oily. 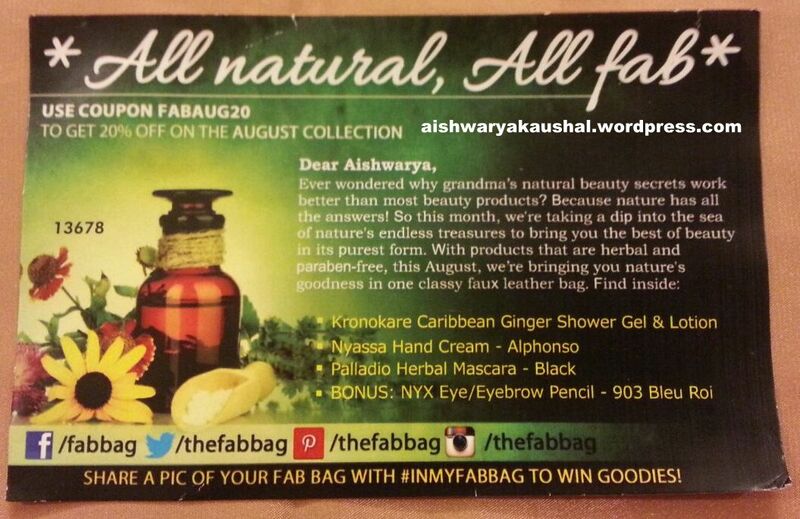 I’ve lost count of how many shower gels and body lotions I’ve received from FabBag. The only one that I really enjoyed was by The Nature’s Co and it was a coconut scented one! This is what Mango Heaven must smell like! It is softening and the scent! Oh, the scent! It smells like mango sugar boiled candy. Who doesn’t love mangoes? I’m definitely keeping this in my handbag and I may get the full size once this finishes. I love the idea of having a brow and lash comb so handy. 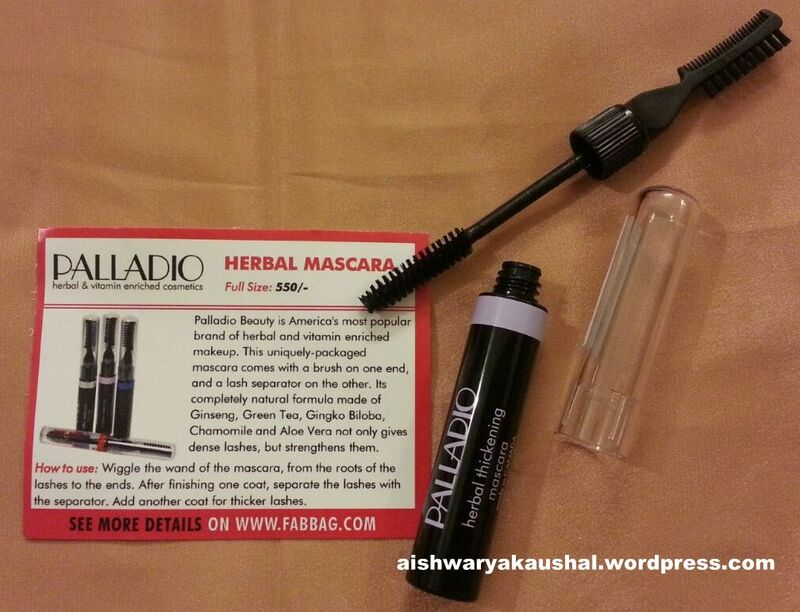 The mascara is not extremely volumizing but it is great for those “natural lashes” days. I’m glad I got a black version though! This pencil is so creamy and doesn’t drag on the eyelids at all. I got a blue one so I’m definitely not using this on my brows. But, on the eyes it looks great. I’m very happy with this product. I’m happy with this month’s bag. I didn’t get any frosted lipstick nonsense or lip glosses that I’m not gonna use! 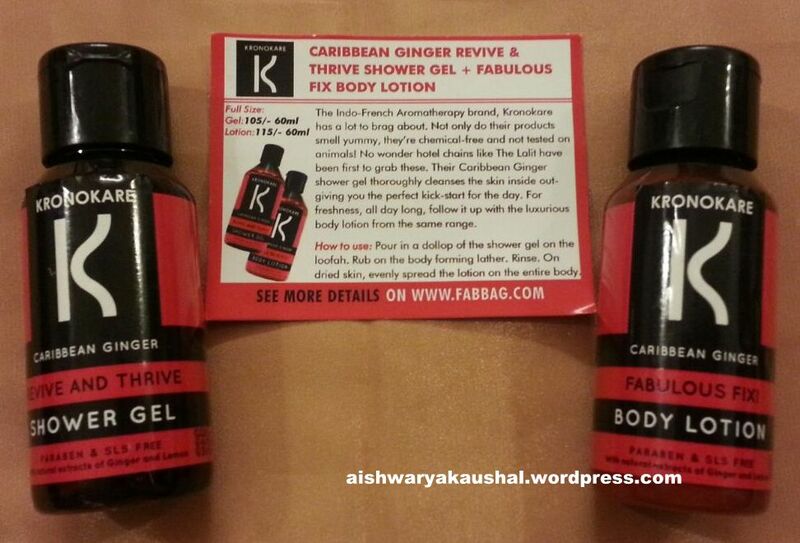 Ginger shower gel and lotion aside, all the other products are amazing. This is one of the best FabBags they’ve sent out. 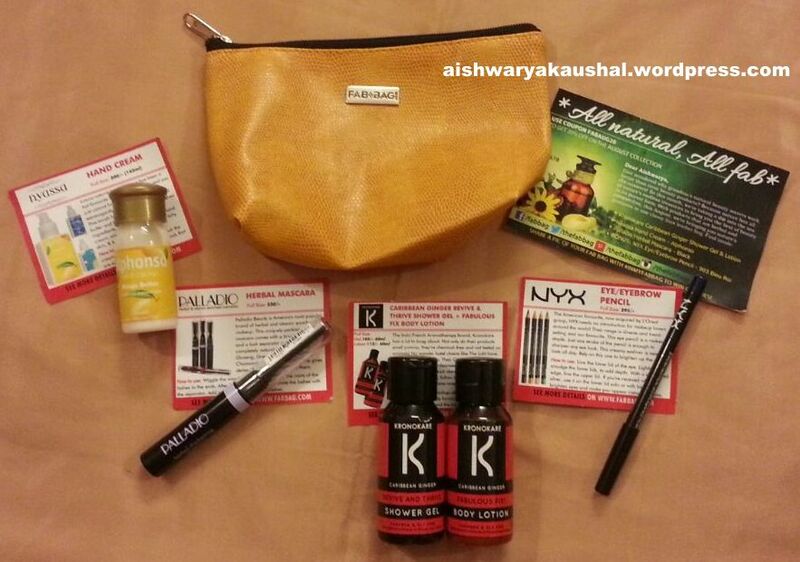 I like that there was a mix of beauty and makeup products because most of us prefer to receive makeup. Product Empties + Mini Reviews! great! I’m still waiting for my august fab bag. 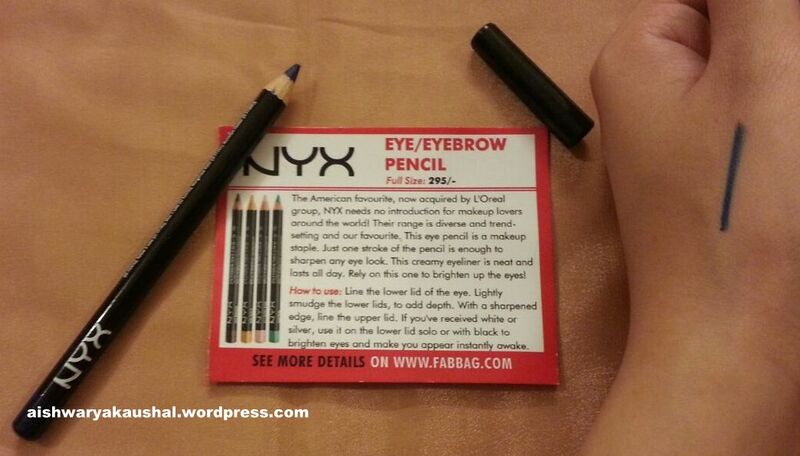 do you get the nyx eye brow pencil with the monthly subscription also or is it only for the half yearly and yearly subscriptions?